Our pasta adventures continue, still without a pasta maker. If anyone ever asks me why we don’t have one, I’m going to answer that we do and then show them our rolling pin. I really am convinced that is all that anyone needs to make good pasta. 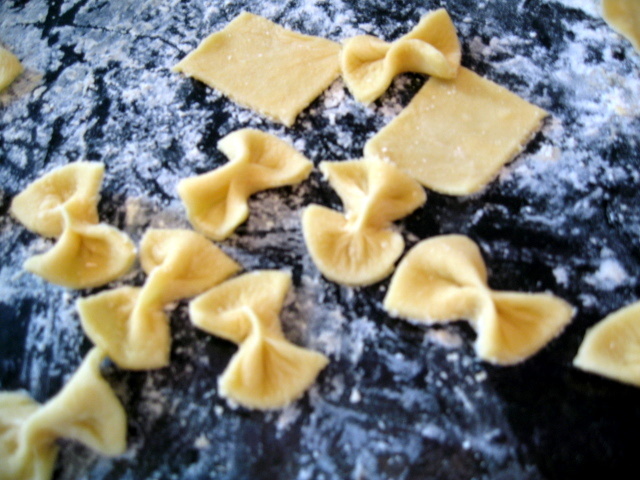 It turns out that my favorite pasta shape – farfalle, or bow-tie pasta – is a cinch to make at home. All that you have to do is cut pasta squares, pinch them a bit, and then cook them as you would any other pasta. The best way to learn is to watch this blessedly to-the-point video. This New York Times pasta, sage, and Parmesan recipe is much simpler and speedier. Interestingly, it is allegedly the original pasta Alfredo. Whisk flour and salt together. Form a well in the middle. Crack eggs into the well in the flour. Use a fork to whisk eggs together and then slowly begin incorporating the flour into your whisking, continuing until you have a messy ball of dough. 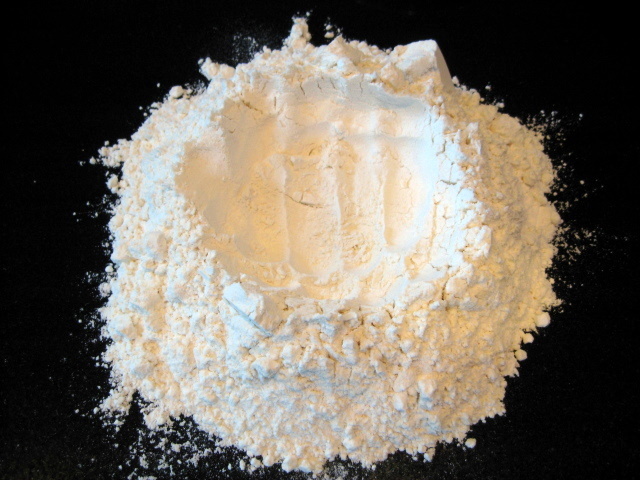 Tip dough out onto floured counter and knead until it is completely smooth and pretty springy. This takes about 10 minutes. Don’t shortchange the kneading, or your pasta won’t work. 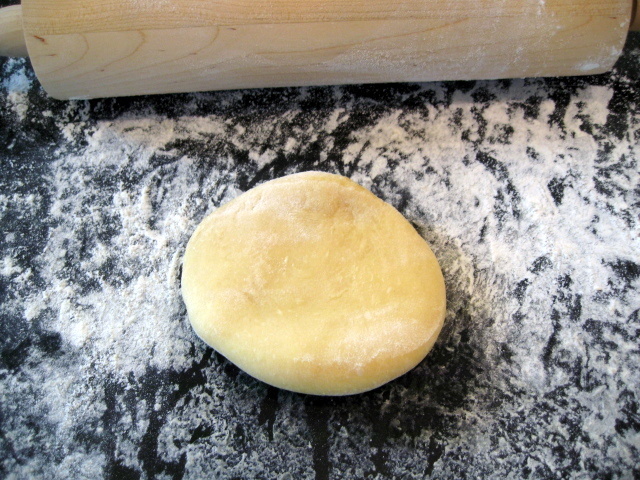 Cover dough with plastic wrap or a damp towel and let rest for 15 minutes. Roll the dough out into a long rectangle, getting it as thin as you possibly can, but not so thin that when you pick it up it falls apart. For each square, put your index finger in the middle, squeeze in the sides with your thumb and middle finger, remove your index finger, and then finish squeezing with your thumb and middle finger. 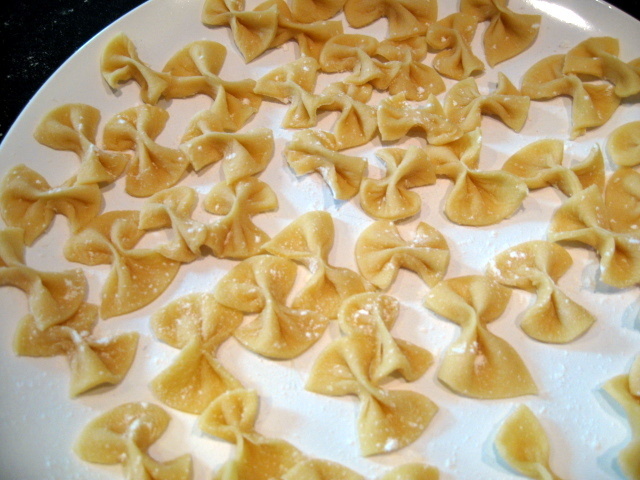 This forms the farfalle shape. Bring a pot of water to boil. 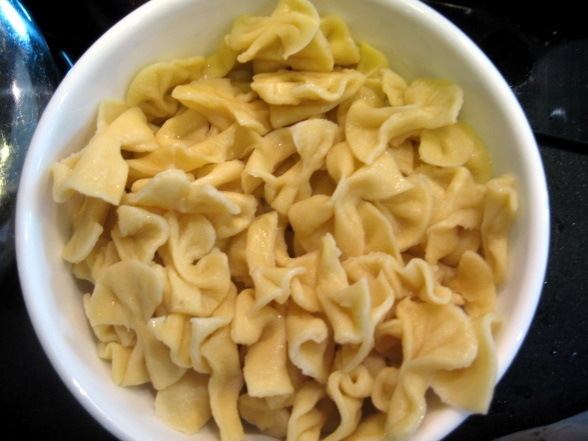 Cook the pasta for 1-2 minutes, about 30 seconds longer than it takes for it to float to the surface. Retain the pasta water. Melt the butter in a frying pan. 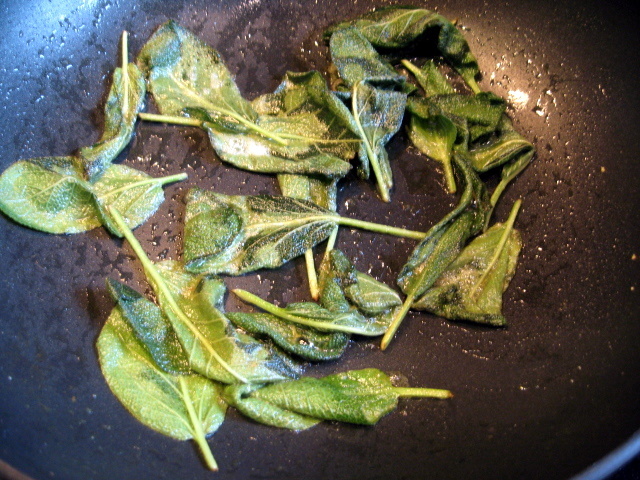 Sautee the sage leaves until crispy. Add the cooked and drained pasta and pan-fry for 2-3 minutes. Stir in the Parmesan. Thin with 3/4 cup pasta water or more as necessary and stir for an additional 2-3 minutes. Serve with a light dusting of additional Parmesan, if desired. We were amazed by how fresh and light this pasta was – the opposite of most pasta alfredos! 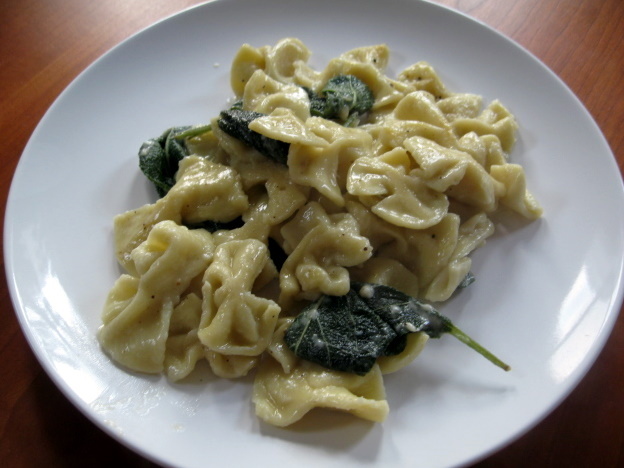 The farfalle was the best we had ever had, and would have delighted us even served in a top-notch restaurant. Definitely worth making from the bottom up.